Dell reveals two new laptops; the XPS 14 and XPS 15. 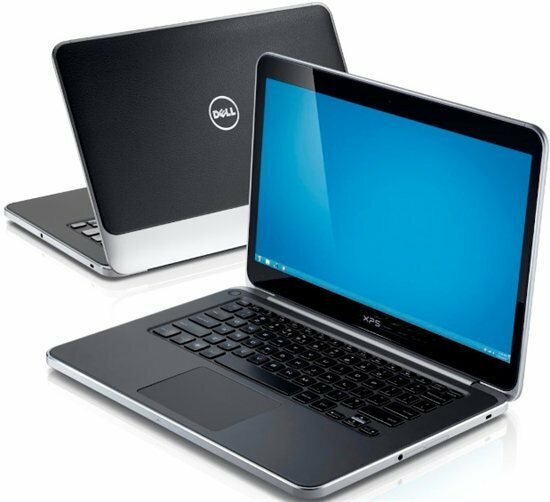 Dell today announced the expansion of its XPS laptop portfolio with the XPS 14 and XPS 15 laptops. Joining the award-winning XPS 13 Ultrabook, the XPS 14 and 15 have the same beautiful, thoughtful design and craftsmanship in two additional screen sizes for consumers who desire connectivity, performance and entertainment, no matter where they are. As part of Dell’s flagship XPS brand, this array of laptops enables customers to choose the one that best suits their needs. The XPS 13 is highly portable and compact for today’s most mobile users, while the XPS 14 provides long battery life and connectivity for those who need to get online wherever they are. The XPS 15 provides performance graphics and a brilliant display for multimedia creation and entertainment. All three laptops have enterprise-friendly features to intersect the design and performance desired by consumers with the security and services required by IT departments. Additionally, The XPS 14 and 15 laptops are distinguished by vibrant displays with hardened Corning Gorilla Glass, and use the latest Intel technology, such as the latest 3rd Generation processors, and Intel Rapid Start[iii] , Smart Response[iv] and Smart Connect[v] technologies, to enable users to be productive, connected and responsive anywhere. Designed for mobile users, the XPS 14 comes in two main configurations. The XPS 14 Ultrabook features a highly-durable machined aluminum chassis with innovative silicone base in a compact, thin, 20.7mm design. With a brilliantly bright 14-inch 400 nit HD+ edge-to-edge display, a backlit keyboard, and optional performance graphics, the XPS 14 is ready to perform all day in nearly any environment, with up to 11 hours of battery life[i] – the longest battery life of any Ultrabook[ii]. Customers can enjoy the ample storage of a traditional hard drive with the responsiveness of a solid state drive with a 500GB hard drive[vi] and 32GB mSATA card[vi], including Intel Rapid Start[iii] and Smart Response[iv] technology. Rapid Start delivers fast boot-up and hibernate response times, while Smart Response quickly recognizes and caches the most frequently used files and applications, allowing customers to access critical information quickly and easily. The XPS 15 is a thin powerhouse offering the performance, graphics and screen resolution for creativity and entertainment. With a stunning, vivid, edge-to-edge display that’s up to 75 percent brighter than standard panels, powerful NVIDIA graphics as standard, backlit keyboard, and optional integrated slot load Blu-ray disc drive, watching videos or creating content is pure enjoyment. Customers can also store their multimedia content with up to 1TB of storage[vi], and still enjoy the responsiveness of a solid state drive with a 32GB[vi] or 128GB mSATA card[vi] option. The stunning design of the XPS 15 is driven by the desire for a beautifully crafted system constructed for performance. The machined-aluminum chassis provides strength and durability with the top cover precision cut from a single block of aluminum, and the silicone base feels cool-to-the-touch. The hardened Corning Gorilla Glass screen is impeccably strong yet aesthetically pleasing with the near-frameless edge-to-edge design. To give XPS customers peace of mind, every XPS product sold on Dell.com comes with America’s Best Standard Protection plan. In addition to the Limited Hardware Warranty[ix], the plan includes In-Home Service after Remote Diagnosis[x], Premium Phone Support with extended availability, one year of Accidental Damage Service[xi], and one year of theft protection with Computrace LoJack for Laptops Theft Recovery Service[xii] as standard. Accidental Damage Service is a safeguard for unexpected drops, spills or power surges that may occur. Computrace LoJack for Laptops Theft Recovery Service helps track, locate, lock down and recover a stolen system, and can even remotely delete sensitive data. Dell ProSupport[xiii] is available for Dell business customers and provides end users and IT professionals with various remote and on-site technical support for complex hardware and software needs that include access to ProSupport specialists. Configuration Services include customizing BIOS settings, loading an image, and applying asset tags prior to shipping to streamline the process of deploying XPS laptops to employees wherever they may be located, while ensuring consistency throughout the IT environment. Understanding its customers’ need to purchase responsible products, Dell designed the XPS 14 and 15 laptops with the environment in mind. Its energy-efficient LED displays have no mercury or arsenic and Dell eliminated harmful toxins such as Brominated Flame Retardants and Polyvinyl Chloride (BFR/PVCs)[xiv] . The laptops are shipped in many locations with sustainably harvested bamboo packaging material, and they can be configured to be ENERGY STAR qualified, helping customers reduce energy costs. When the time comes, Dell offers multiple recycling options (learn more at www.dell.com/recycling). The Dell XPS 14 (starting at $1,099), and the XPS 15 (starting at $1,299), are both available today in the U.S. on www.dell.com and in select countries worldwide.